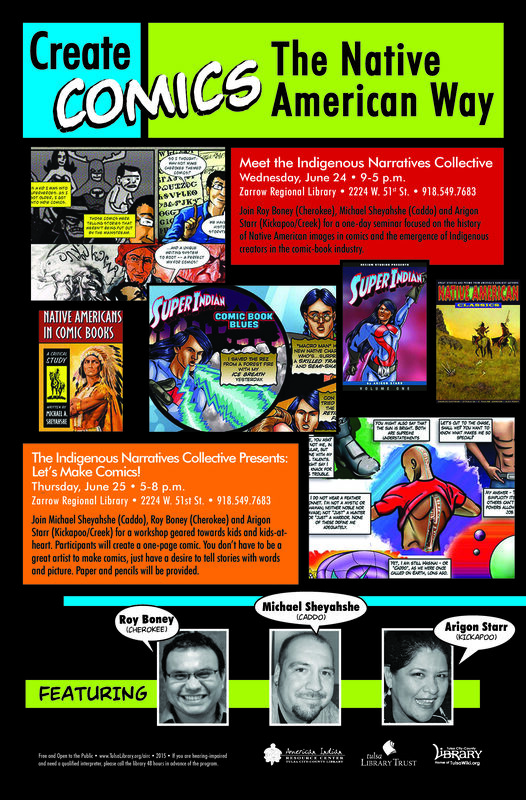 Hope some of you in the Tulsa area can join me, Michael Sheyahshe and Roy Boney at this year’s Native Comic Book Workshop. Hosted by the Tulsa City-County Library and the American Indian Resource Center, the workshop is two full days of learning how to create comics and how to market them! Happy to share our expertise with art, writing, various computer programs to help bring your stories to life. The flyer for the event follows — and here’s a link to a great article on the Tulsa World’s website announcing the program. Come on down — it’s FREE!